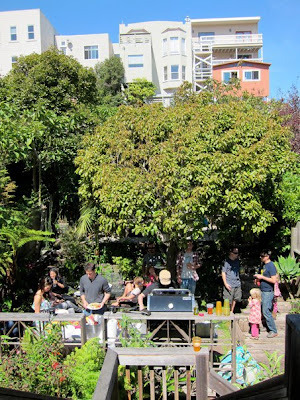 Last weekend, San Francisco showed up BIG and gave generously to TEAM ZOE! Zoe's Aunt Stephanie and Uncle Paul hosted a BBQ in their backyard to raise donations for the Children's Heart Foundation - Phoenix Congenital Heart Walk taking place on November 6, 2011. 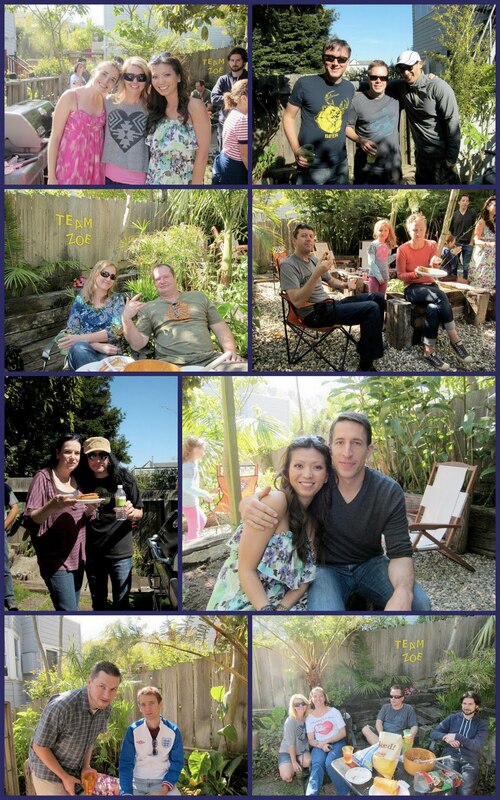 From the pictures and texts, it looks like a great time was had by all. 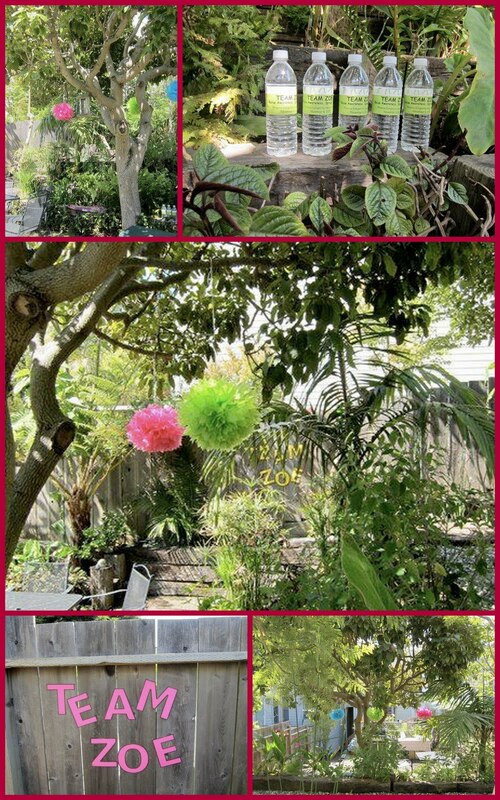 I thought I'd create a few Team Zoe meets SF collages so you get a good idea of the outpouring for Miss Zoe. The big reveal... San Francisco raised over $1,500 for TEAM ZOE!!! Thank you so much Steph and Paul for hosting your 2nd Annual Team Zoe BBQ. We can't wait for you to come walk with us in November! 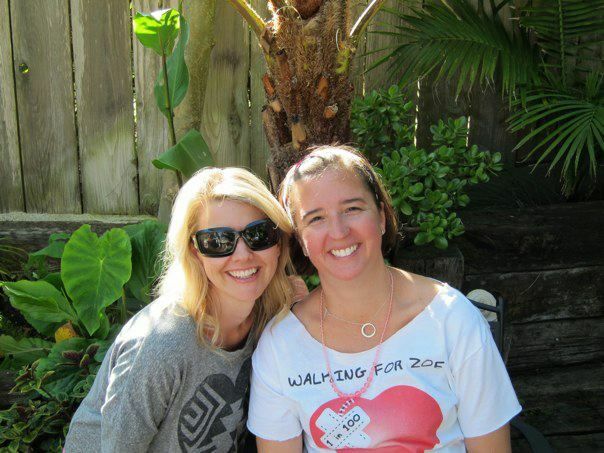 If you haven't had a chance to register to walk with Team Zoe, there is still time. Click here. 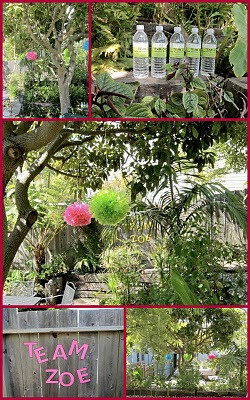 If you want to donate to help Team Zoe reach their goal, there is still time. Click here. If you want to purchase a Team Zoe T-shirt, regardless of whether or not you are walking with us on November 6th, please get your orders in as soon as possible. The clock is ticking with the printer... Click here to see this year's design and how to order your Team Zoe Tee! 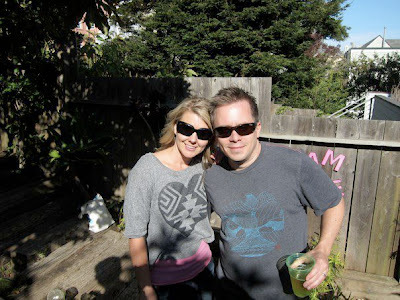 Speaking of Team Zoe T-shirts, a special kudos to Robin Patfield for sporting vintage Team Zoe gear! I cannot believe we are one year - surgery free. Yes, one year ago, today, Zoe underwent her second open heart surgery. This past year has flown by so fast. I've cherished every moment of it, even when Zoe's driven me completely mad! I'll remember that this girl is a warrior, in more ways than one. One of my favorite pictures of Zoe was taken at CHOP, four days post Hemi-fontan. As is usual, when I look into her eyes, I swear I can see her soul. In this picture, I captured that souful 'look' that she gives me so often. Most importantly, today on Zoe's Hemi-Anniversary, I'll remember how amazing my daughter is. She's come so far in a year's time. She's an energetic, full of life 16 month old toddler that brings me so much joy. She's ignited a passion that I've never experienced before. And brought me into a new family whom I love and couldn't live without. With all of the memories that flood my mind and heart today, I thank her with all of my heart for showing me what it means to live life and be in the present moment. I look forward to spending Zoe's Hemi-Anniversary with her and telling her how lucky and honored I am to be her mom. Today, on September 11, 2011 - ten years after the horrific events of 9/11 - I thought I'd share with you how Emerson got her name. Like most of us, I was glued to the television set for the days and weeks that followed September 11, 2001. I watched heart-wrenching stories with tears in my eyes. I had nightmares that I was trapped beneath steel and rubble, even though I was thousands of miles away in California. One of the stories I will never forget was that of Emerson Glick. Emerson was 12 weeks old when her daddy became a national hero. Jeremy Glick, a name you may recall, was aboard United Flight 93 - the flight intended for the White House. Jeremy, with help from a few fellow passengers, managed to overpower the terrorists. Whether it be by force, or otherwise, we'll never really know. The story of the little girl who would never grow up to meet her daddy tore my heart out. 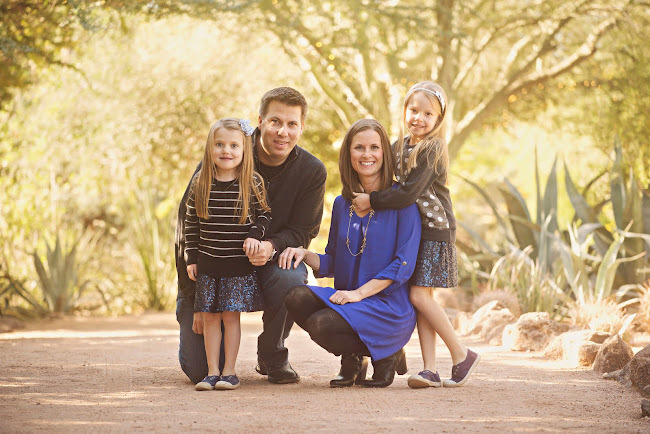 From that moment on, I vowed to name my first daughter, Emerson - after Jeremy's little girl. On the tenth anniversary of 9/11, please take some time out of your day and remember those who lost their lives, and their families who lost a loved one, on that fateful day. My Emerson is a reminder to me every day; I will never forget. 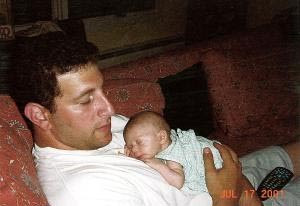 I'll leave you with the following link to a special report, from Emerson Glick herself, writing about one of our nation's heroes - her daddy, Jeremy - and how she received her name, "Emerson." 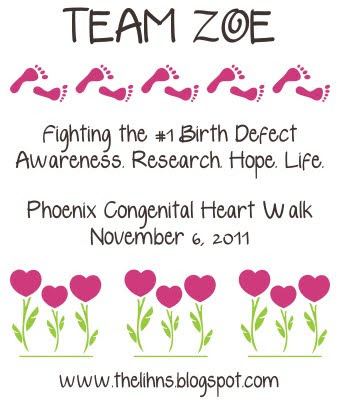 The Phoenix Congenital Heart Walk is November 6, 2011. 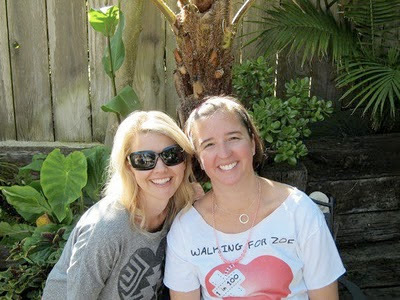 If you plan on joining us, we'd love for you to walk in Team Zoe gear. This year, like last, we'll be selling Team Zoe shirts for $10. All proceeds will go towards Team Zoe's fundraising goals. Please place your orders before it's too late! If you want to order a shirt, you can do so one of two ways: 1) email us at lihnsc@yahoo.com with quantities and sizes (Adult - S, M, L, XL, XXL or Youth - S, M, L) and make payment via check or cash or, 2) if you'd like to pay via Pay Pal, our Pay Pal account is lihnsc@yahoo.com. In the comment box, please provide the quantity and requested shirt size(s) desired. 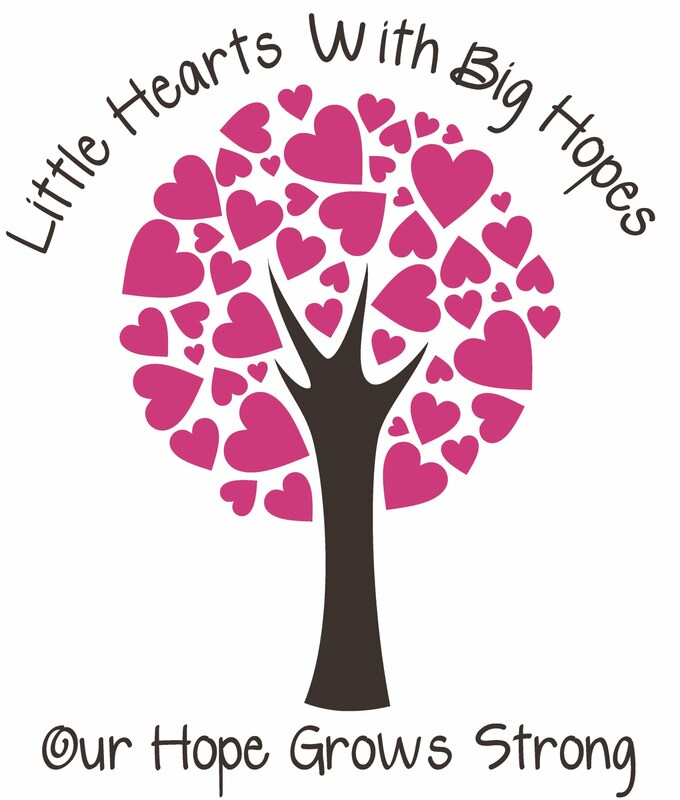 If you are doing something special for Team Zoe fundraising, please share with us! We know of a few Team Zoe BBQs in the works and some special little girls who've been filling their piggy banks for some time. 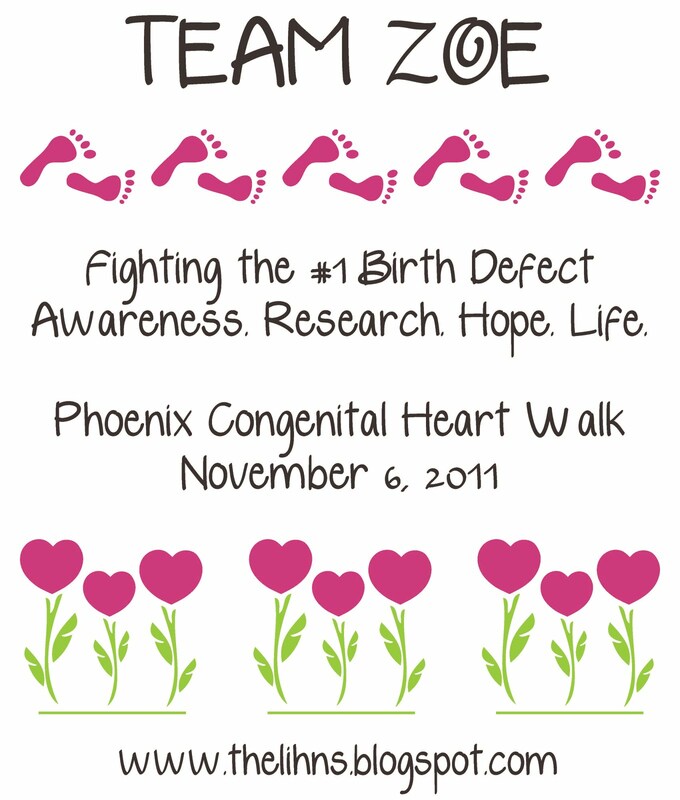 Thanks, as always for supporting Team Zoe - you're not only helping us, but all other congenital heart defect families. And trust me when I say, it means the world to us! 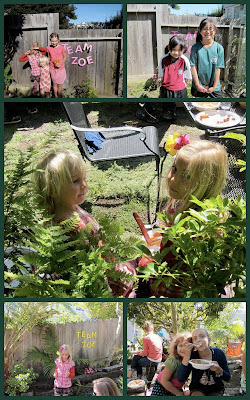 With cold and flu season around the corner, we've been busy playing and getting out of the house as much as humanly possible (keeping in mind the 110+ degree weather in Arizona). Zoe, who will be 16 months a week from today, is developing very well. Her physical therpaist is certain she will be walking soon. She's able to balance on her own, but when she realizes no one is holding on, she collapses. Her vocabulary is expanding as well. She's up to 15-20 words. This may not seem all that wonderful, but when you're told at 20 weeks pregnant that your child will likely have a lower IQ due to a lack of oxygen to the brain, you really celebrate developmental milestones. 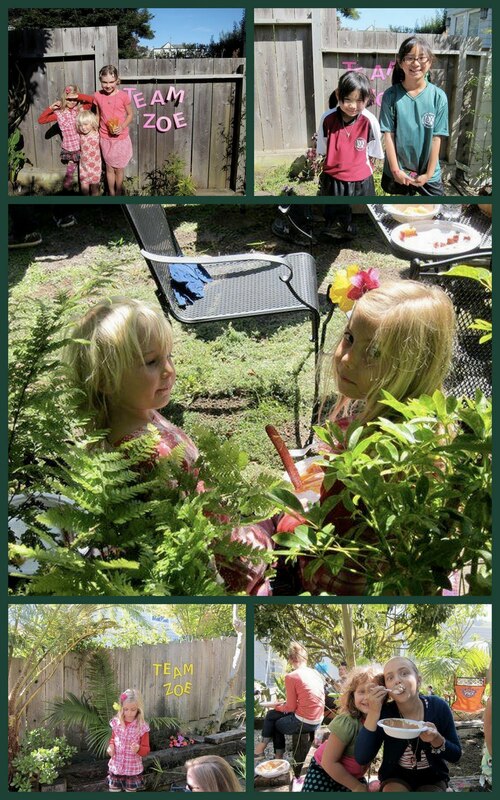 With Zoe's development flourishing, she and Emmy are becoming great sisters - playing, laughing, fighting and biting. No hair pulling yet, so that's good. Emmy often tells me, "I love my sister." I'm almost certain she realizes just how special she really is. As you know, Football is Back! 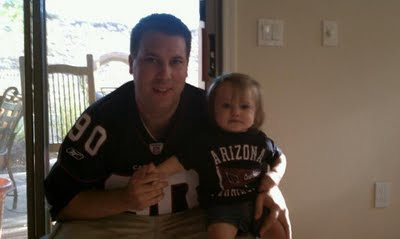 The girls are ready for the season - as are mom and dad. What we are not ready for is winter and all the germs that come with it. Emmy and Zoe got their flu shots late last week. 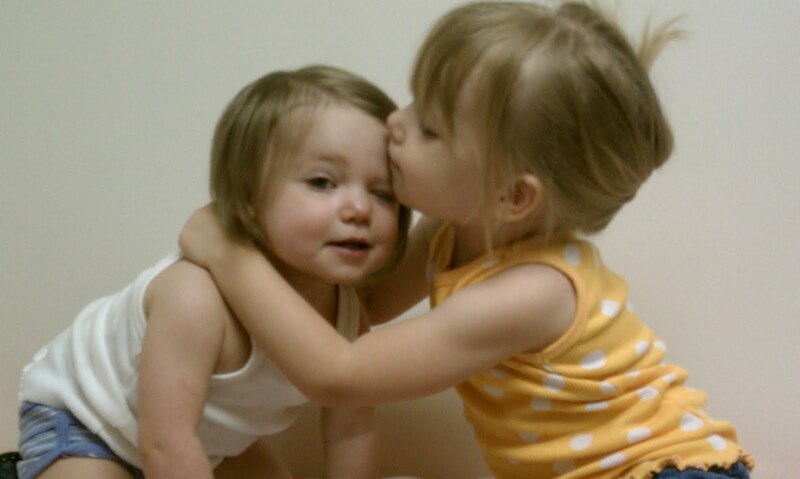 Quite humorously, just prior to their shots, Emmy gave Zoe a hug - being a good big sister - and told her everything was gonna be okay. 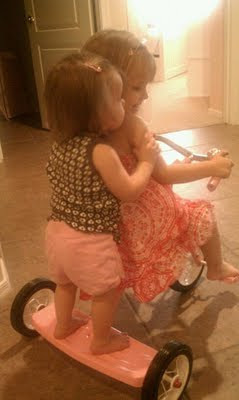 But just after this picture was taken, the big sister went first. As soon as the needle went in, Emmy screamed and shed crocodile tears for a good 60 seconds. Next victim, Zoe. Zoe winced, no screams and not one tear. I guess Zoe will have to give her sister a big hug next time and say, "everything will be okay, little sister's here..."
And, for the next round of RSV shots that Zoe will receive from October through March/April, I bought Zoes the perfect shirt. 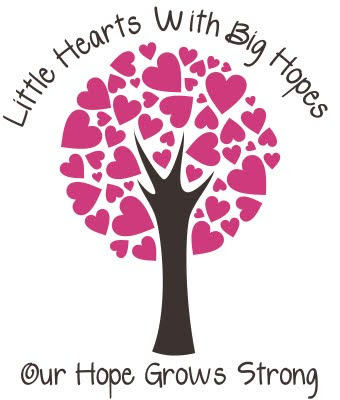 If you haven't donated or signed up for the Heart Walk with Team Zoe, there's still time! 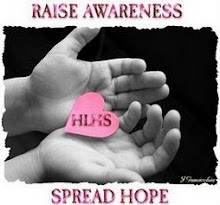 You can donate or sign up by clicking here. Team Zoe T-Shirt design is 95% complete and we'd love to see Team Zoe come up big this year. Team Zoe is already getting some heat from Team Owen. We've been told to "Bring it!" Game on, Owen, game on!